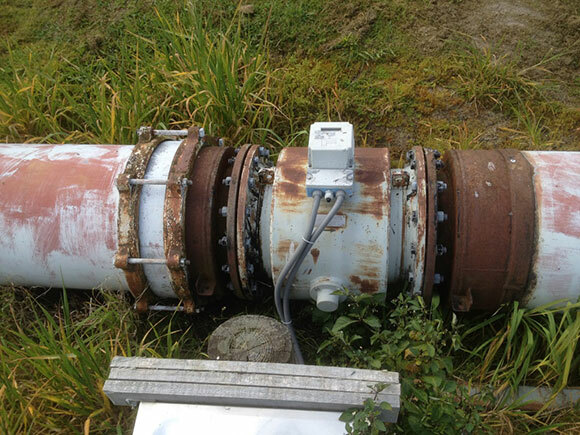 Our client had old water measurement equipment that no longer met their resource consent requirements. Water intake flow rate could not be measured accurately enough to confirm that they were not exceeding their consent allowances. 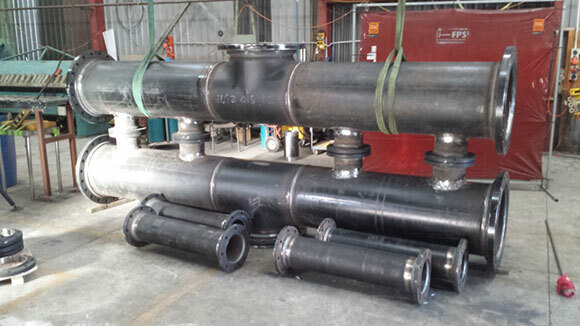 The plan was to replace a single 400mm flow meter with a manifold of four 200mm flow meters. The smaller meters would allow far greater accuracy. 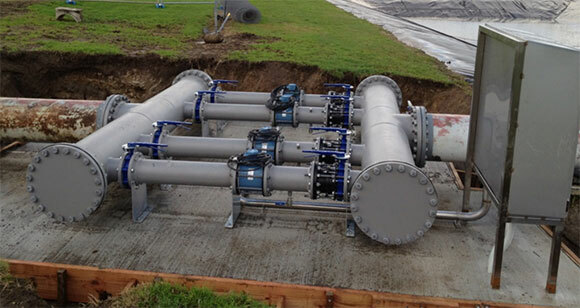 Flexibility would also be built in as individual flow meters could then be isolated and removed from service for calibration without affecting the overall flow rate to site of 1,200m3/h. 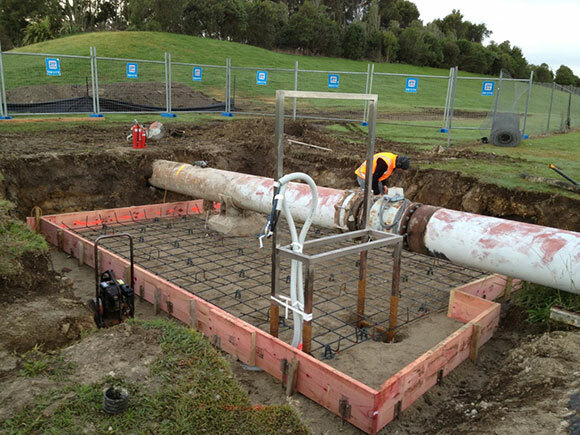 To reduce the installation timeframe to two days, a large epoxy coated carbon steel manifold was fabricated offsite. This was then crane lifted and bolted into place. Pre-wiring of the flow transmitters allowed a fast termination and recommissioning of the water line to site.